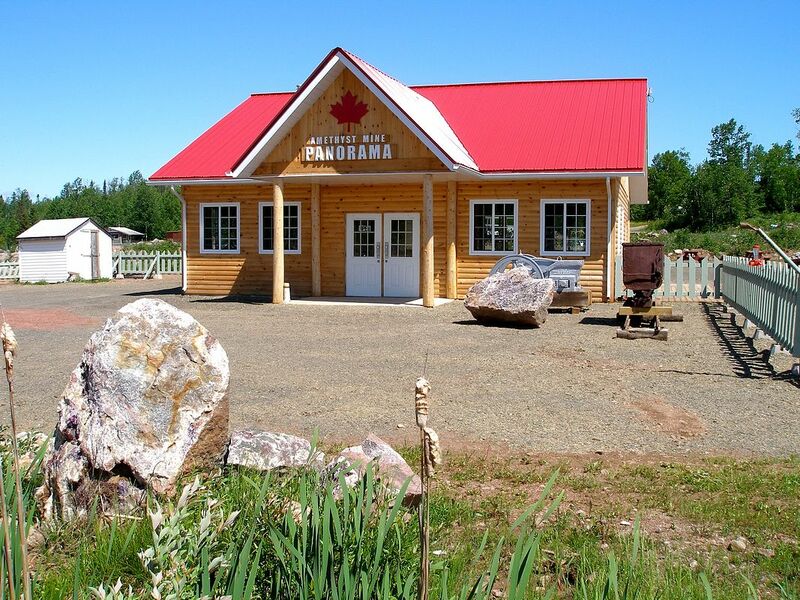 The Welcome Centre serves as your gateway to Amethyst Mine Panorama. In this building you’ll pay an admission fee, start your guided or self-guided tour and set out on your search for amethyst. Spend a few minutes reading the interpretative panels. Visit with the Tour guides. Shop for Amethyst Jewellery. This is where you will return later to have your amethyst weighted by a staff member. Don’t forget to shop for amethyst. All amethyst in the Welcome Centre has been sourced on site. Jewellery, gifts and souvenirs are handcrafted by our family in Thunder Bay. Drinks and snacks are available. This barrier-free building does not include restrooms/changing rooms. Pets are allowed in all facilities, as long as they remain on a leash under the owner’s control at all times.